This month Hedges Direct sponsored the APL Awards at The Brewery, London to the project value of £100,000 – £200,000. 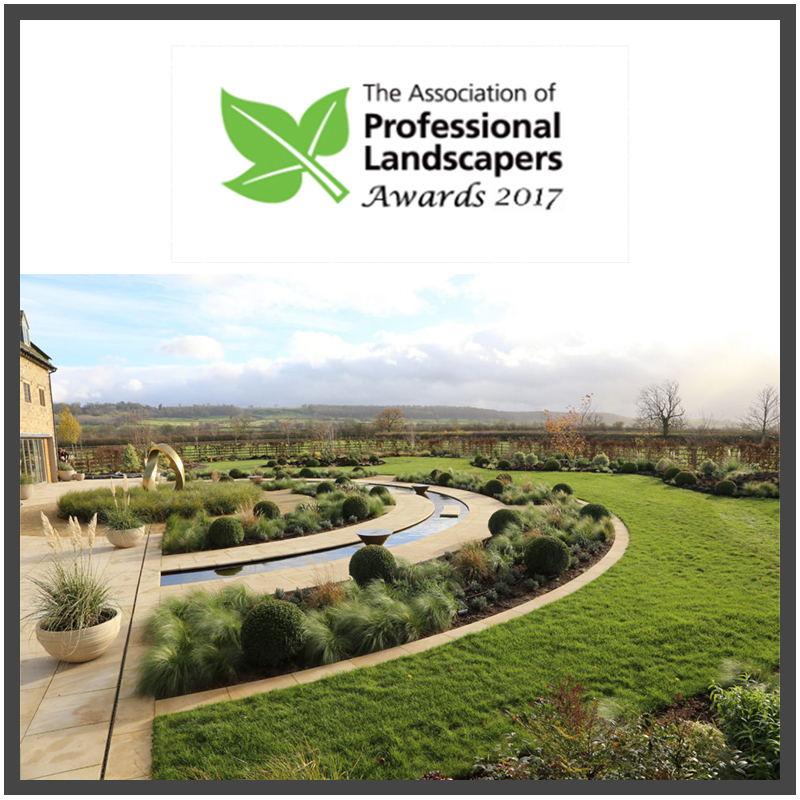 The winner of this prestigious award went to the professional landscape company The Gardenmakers for their garden project at Vale Farm. The project was inspired by a contemporary style, incorporating a mixed medium of hard landscaping materials and colourful borders of shrubs and flowers. Here at Hedges Direct, we wanted to showcase how to re-create the look for yourself with the help of our fantastic products. The Gardenmakers were briefed to create a garden that will be used for relaxing and enjoyment throughout the seasons. English Lavender makes a wonderful low hedge and is ideal for bordering pathways. It is the perfect choice for a sensory garden, attracting a variety of wildlife including butterflies and birds. The flowering spikes also produce a sweet scent which will help you feel relaxed and create a calming atmosphere. When creating shelter from the wind, the rule of thumb is that a good hedge on level ground will provide full wind protection for a distance of five times the hedge’s height. Our Hornbeam hedge plant, Carpinus Betulus is suited for wet sites, working well as a windbreak, noise barrier and creating a privacy screen. Evergreen hedging provides a year-round green boundary in gardens, along with being a safe nesting site for birds and a great backdrop to show off more colourful plants. They also help reduce noise levels and absorb pollution. Taxus Baccata or more commonly known, Yew is the king of hedging with luxurious, dark green foliage and is slow growing for easy maintenance. To include areas of interest in the garden The Gardenmakers used a tree to provide a focal point. Cherry Trees are small and weeping, making them ideal for limited spaces. Their display of large blousy pink flowers creates a beautiful display to overt the eye. The Gardenmakers client’s preferred colour scheme was pinks, purples and blues. Flowering hedging plants is a good way to incorporate different shades and textures into your green space. Escallonia Pink hedging boasts bright pink, bell-shaped flowers which are prominent from June and last right through until around October. Ceanothus ‘Autumnal Blue’ hedging looks great trained against walls and Hebe is an informal flowering hedge which looks great neatened up into a series of mounds with its long tapered flower spikes. Now we are in Spring and our glorious English sunshine has started to make an appearance, it’s time to get out in to your garden and get creative with your green fingers! Why not show us how you have created this look or your garden transformation over on our Facebook page @HedgesDirect.